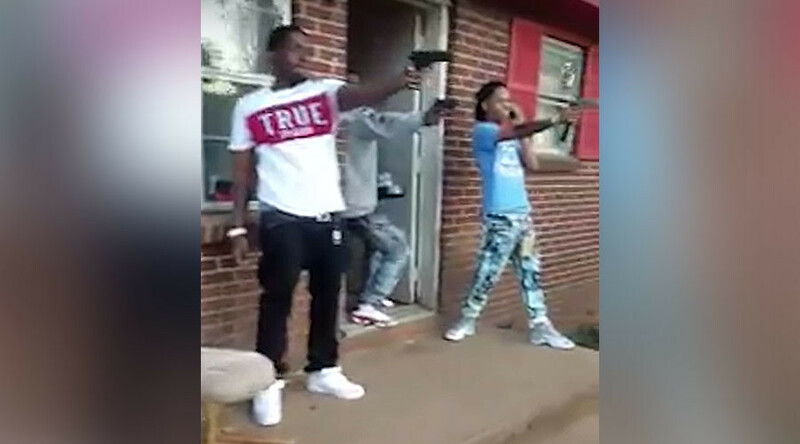 The internet "mannequin challenge" craze has finally gone too far, landing two Alabama men in jail after police stumbled upon their video and counted 19 guns in a staged shootout. They later found drugs and even more guns behind the scenes of the “mannequin” video. Two men participating in the video setup, Kenneth Fennell White, 49, and Terry Brown, 23, were arrested. Shortly after White and Brown’s "mannequin challenge" appeared on Facebook last month, Madison County Sheriff's investigators accepted a “challenge” of their own. A warrant was obtained to check whether the guns had been properly registered. Investigators ended up finding two handguns, an assault rifle and a shotgun, along with several rounds of ammunition at the home, which is clearly seen in the video. There was also a tactical vest and many rounds of ammunition as well as multiple magazines. Authorities also discovered several bags of marijuana, allegedly packaged for resale, scales and a special device for grinding the plant’s buds into powder. White is now facing charges of marijuana possession and has been named a felon in possession of a firearm, Captain Mike Salomonsky told reporters Tuesday. His bond was set at $30,000. Brown, who arrived in prison with his own marijuana, has been charged with possession of drug paraphernalia, loitering and promoting prison contraband. His bail has been set at $3,800. The video has been shared nearly 86,000 times since it was posted to Facebook on November 9, AL.com reported.